The REI-278XU is a 1-4 channel GPS video character inserter designed for airborne applications. 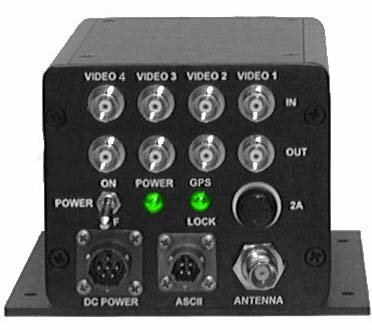 The unit is housed in a rugged metal enclosure measuring 4.0" W x 3.1" H x 6.0" D. The unit receives GPS antenna input via the front mounted SMA BNC connector. Three BNC video loops (input/output pair) are provided. Each video loop will insert the GPS Time upon an independent video signal. 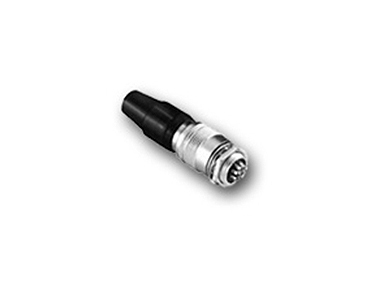 +28 VDC is received via an ITT Cannon KPT02E10-98P connector. The REI-2784 generates translucent white digits in 7-segment format. Horizontal & vertical size, position & character brightness are adjustable by means of five potentiometer controls, accessible inside the left side panel. Character height may be varied from 2% to 20% of picture height. The six channel GPS receiver has an internal clock which is accurate to 1ms per day when GPS signal is lost. Typical signal re-acquisition with a six channel receiver is 5 seconds after power is restored. Remember it takes only one satellite to provide time. This makes the REI-278XU almost as accurate as an atomic clock, for a lot less money!